After a car accident, it is comforting to know that there is someone on your side. 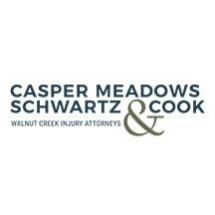 From our office in Walnut Creek, California, the law firm of Casper, Meadows, Schwartz & Cook has been helping injury victims in Alameda and Contra Costa counties when crisis strikes. Combining compassion with legal prowess, we advocate on your behalf to hold the other parties financially responsible for the harm they have done. One of the most traumatic forms of injury is associated with sexual abuse. Whether you are the victim, or your child is, we know that the emotional and psychological impacts usually last a lifetime. Even if the abuser has been criminally charged and convicted of the crime, you have to live with the fear, the nightmares and the depression that often follow. We help you obtain the compensation needed to seek the counseling and medical care required to combat these problems, so that you can begin to heal. The motto of law enforcement is to serve and protect. However, some officers violate the trust placed in them. It is important for you to understand that they are not above the law, and you do have rights. Our law firm stands by your side, acting as your voice and seeking justice for the abuse or mistreatment you have experienced at the hands of those in authority. In a free initial consultation, our team at Casper, Meadows, Schwartz & Cook discusses your specific situation with you. In addition to the cases already mentioned, we handle wrongful death claims, medical negligence, injuries caused by industrial accidents, brain injury, premises liability and defective products. To better meet your needs, our law firm is set up for payment by credit card.